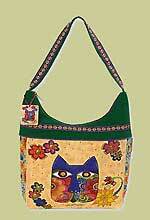 The Round-A-Bout Purse pattern is by Quilt Woman and is from designs in the Donna Ptak Collection. 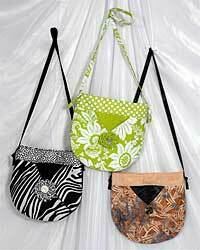 This purse is easy and fast to make from fabric semi-circles and has 2 pockets. 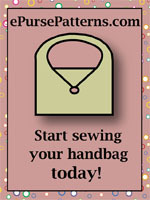 Finished size is 10" W x 10" H and is for the advanced beginner. 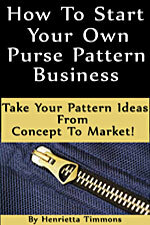 A pattern for the pocket template is included. 2 squares of thin batting 13" x 13"